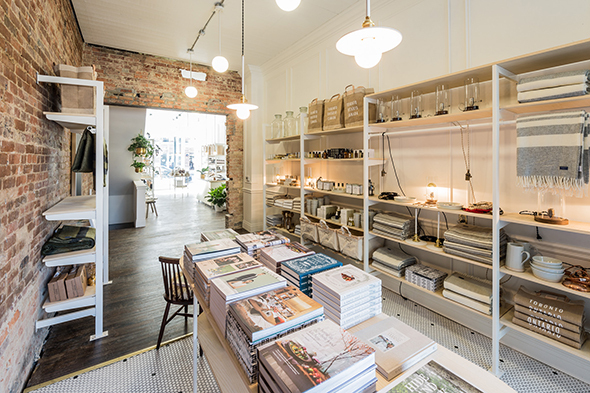 Old Faithful Shop, Vancouver's favourite destination for minimal, built-to-last home goods, landed last month on West Queen West. Since opening in B.C. 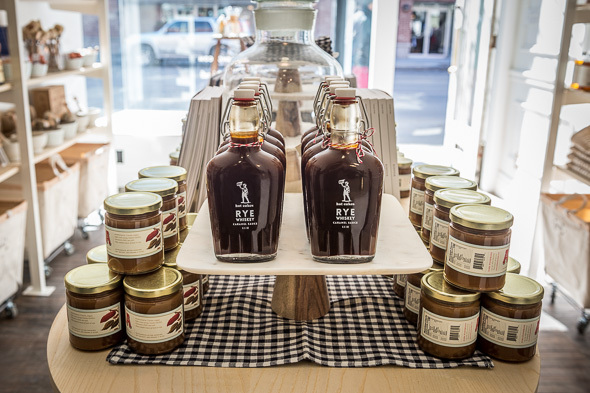 five years ago, owner Walter Manning explains, they'd also managed to build up a steady client base here in Toronto - who, despite enjoying a way more saturated retail landscape, still flocked to their online store for hand-hewn kitchen tools and pantry items. 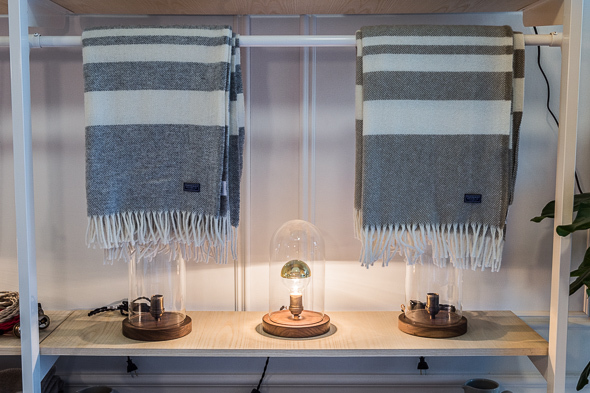 "Toronto is something we've wanted to do for probably two to three years," Manning, who co-founded the shop with Savannah Olsen, said by phone from Vancouver. "On a few visits to Toronto, it felt like there was room for us to be there." 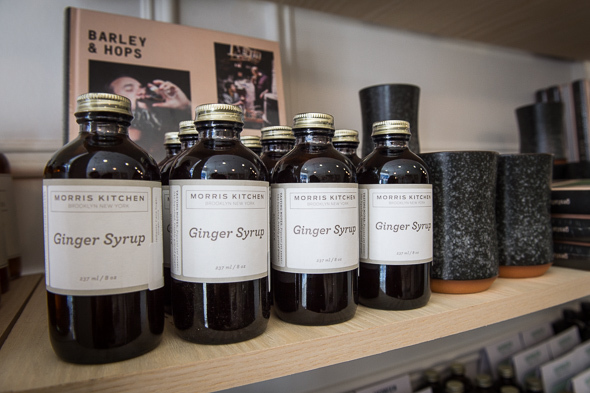 Spying an untapped retail niche in Toronto is no easy feat, and the city isn't lacking for shops that celebrate the beautiful in the basic ( Mjolk is a homespun example, with Muji a newer player). 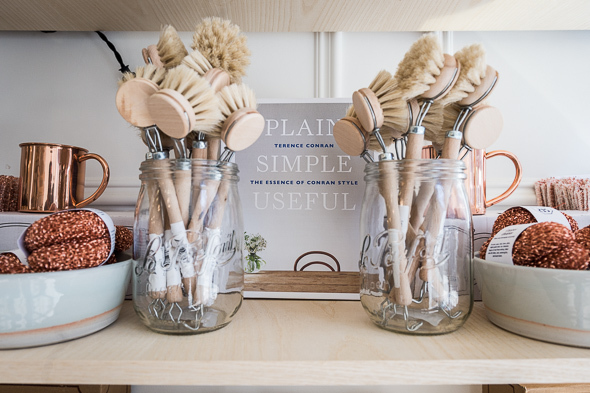 Where Old Faithful stands apart: its wide-ranging (but well-edited) collection of decor pieces, kitchen supplies, and grooming products, all held together by a focus on careful craftsmanship. 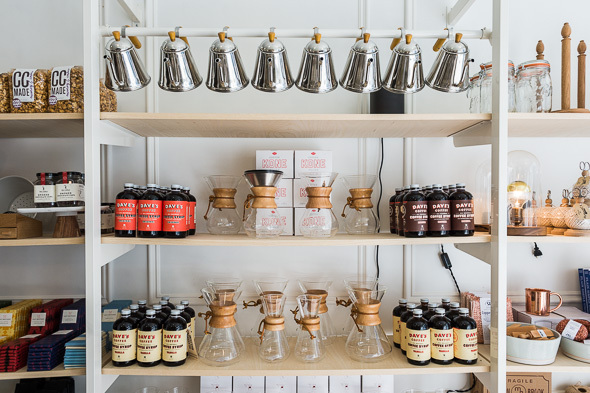 Inside a freshly overhauled, white-and-wood space that until recently played host to Magwood , vintage-looking items gleam on the shelves, betraying their newness. 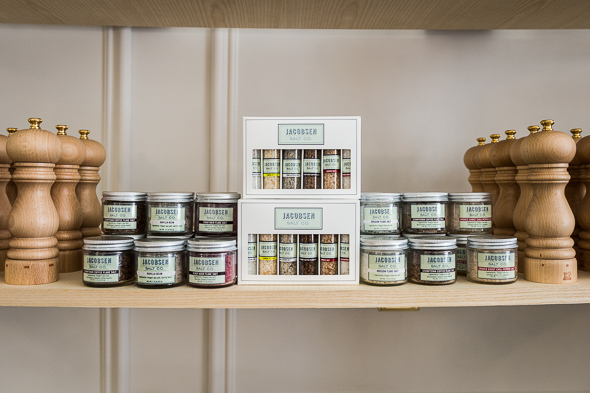 There's pots of salt infused with coffee or pinot noir ($14.95), folksy ceramic spoons reading "smidge", "dash", "dollop" and "scoop" ($24.95), beautiful wood-and-glass pourover coffee sets, and an apothecary's worth of syrups and bitters. 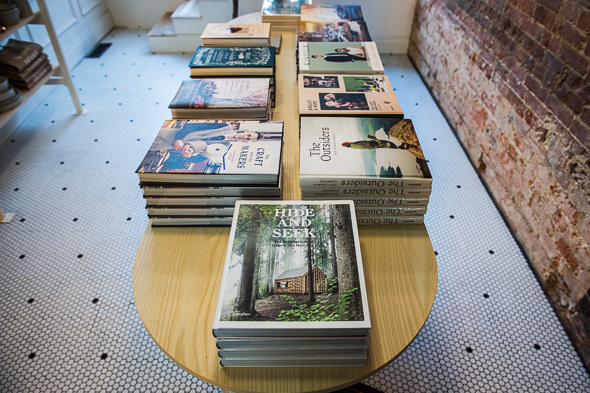 At the back, there are domed lamps reminiscent of bell jars ($155), skincare products (including a mildly obsession-inducing oatmeal-vanilla lotion from Barr Co., $34.95), and books celebrating artisan handcrafters and homestyle recipes. 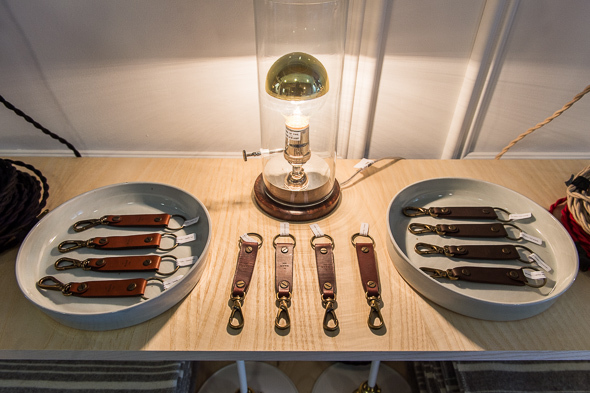 Everything evokes the past while tapping seamlessly into the current trend for "heritage" design. "That's what's nice about a lot of the companies we have," Manning says. "Sometimes it's a product that hasn't changed a tremendous amount in the last 50 years - but it hasn't had to." 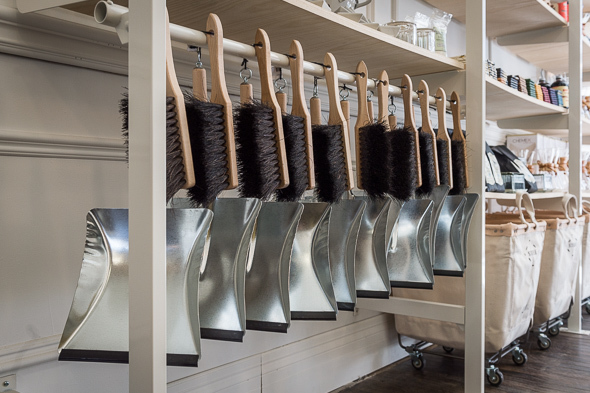 He points to their aluminum and beechwood dustpan set ($34.95) as an example. "That's obviously going to be more expensive than your $7 Shoppers Drug Mart special, but it's not going to break it in half in the next 45 days and you're going to chuck it in the ocean," he says. 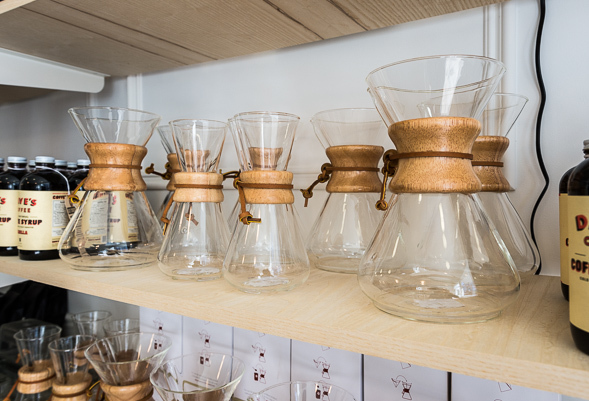 Instead, it's going to stand the test of time (and you can even put it on display, instead of hiding it in a closet). 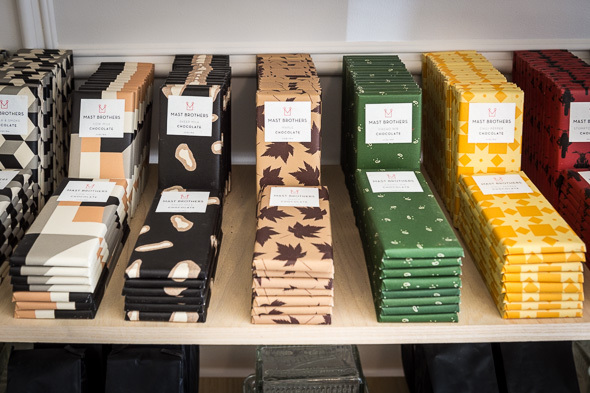 The general-store concept is in Manning's blood: Back in Newfoundland, relatives on both his mom and dad's side owned general stores. "I grew up kicking around the back rooms of those shops," he says. "There was always a lot of activity - it was kind of the same cast of characters. There was this community, these conversations that were happening. I just feel like people got more than what they came for." 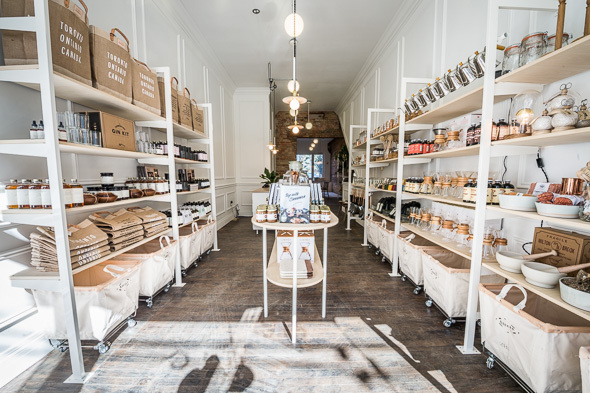 When it came time to make the transition to Toronto, they put the store, which backs onto Trinity-Bellwoods park, through exhaustive renovations. It's immaculate now - all exposed brick, copper and hardwood - but Manning says his vision for the space cost them plenty of time and cash (and more than a few tears). He recalls tearing up the flooring at the back of the shop: "As we peeled back the layers, it went from the 1990s to the '70s - we pulled a '70s calendar out of the floor. As we went down the levels, we were into newspaper from the 1940s - 'buy war bonds!' We finally got to that, and chipboard, and then it was rotted-out floor joists. Instead of dealing with the problems, people were just building on top of them." Now, it's all laid over in immaculate black-and-white hex tile (and, as Manning notes, perfectly level). 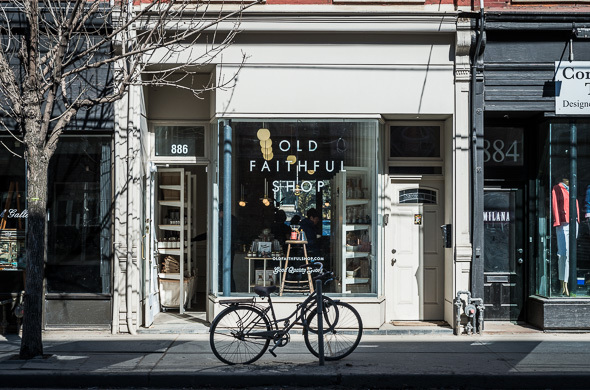 There might be no better illustration of Old Faithful Shop's ethos: You might have to spend a little extra cash, but it's worth it to do things right the first time - and if it looks amazing, that certainly doesn't hurt.